Welcome to the top San Diego Realtor web site servicing Point Loma, Ocean Beach, Sunset Cliffs, La Jolla, Mission Hills, Downtown, and other Greater San Diego County, CA areas. The Correia Group, under the guidance of longtime industry veteran L. Lanz Correia, provides unsurpassed service to real estate brokers, agents, developers and investors. Well versed in negotiation, representatives of The Correia Group are proficient liaisons who use their abilities to professionally facilitate real estate transactions that optimize the residential and commercial real estate markets of San Diego. We, the agents of The Correia Group, take pride in what we do and want to thank you for allowing us to service all of your residential homes, condos, residential lots, and investment property/units needs. Industry leader L.Lanz Correia is the Founder and Designated Broker of The Correia Group. Mr. Correia is a licensed real estate broker in both the State of Arizona and the State of California. 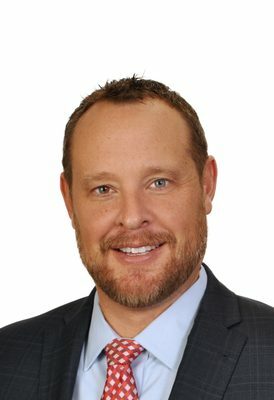 As a skilled negotiator in real estate, he has been involved with several multi-million dollar land assemblages and has managed transactions from large commercial properties and undeveloped land to multi-family and residential. Mr. Correia is a member of two of Point Loma's founding tuna fishing families, the Correia's and the Zolezzi's and currently resides in Point Loma area. He is active in both the Portuguese and Italian communities and is on the board of directors for the United Portuguese S.E.S. As a result, he is able to impart his extensive history and knowledge of the pacific coast area to the benefit for his clients. His background ad experiences have developed Mr. Correia into a networked, dedicated problem-solve who possesses strong research and analytical talents. Mr. Correia is a member to the National Association of Realtors, California Association of Realtors, San Diego Association of Realtors, Point Loma Ocean Beach Realty Association, and La Jolla Real Estate Broker's Association.